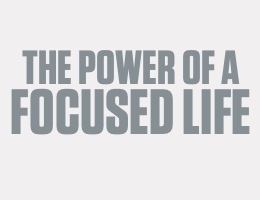 Declutter your desk, clear your mind, do the work. As someone who writes about gear for a living, I know all too well how easy it is for a workspace to become cluttered with stuff. Before you know it, the stress of where you work starts to affect the work, which is no good. 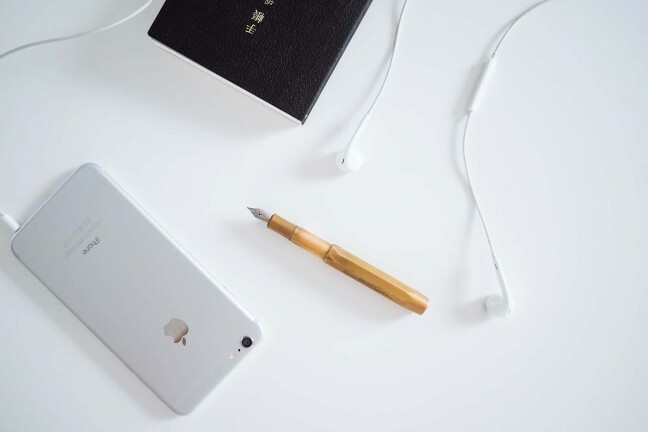 Here are a handful of items to help declutter your desk so you can focus on more important things. 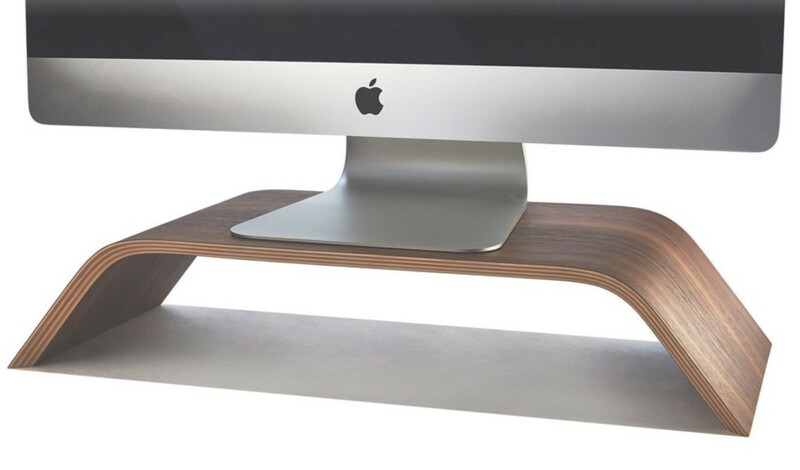 This svelte arch — constructed from American black walnut or Eastern hardrock maple — serves as a sturdy platform for your computer monitor, or in the case of an iMac, your entire machine. And don’t worry about weight: It’s built to hold up to 200lbs. Beneath it, there’s plenty of room for external storage, USB hubs, notebooks, or snacks (don’t judge). 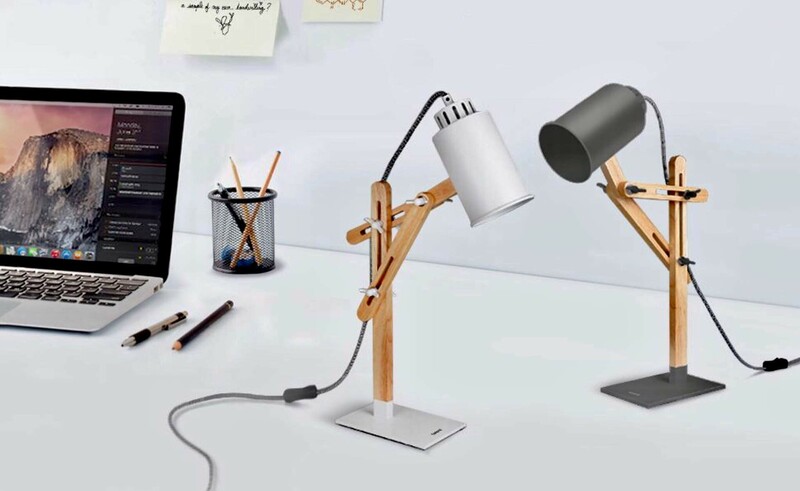 Whether you need a light for your nighttime workspace or a reading light on your bedside table, the Tomons DL1005 LED desk lamp is an attractive, minimalist option that adds a bit of sleek design to any space. 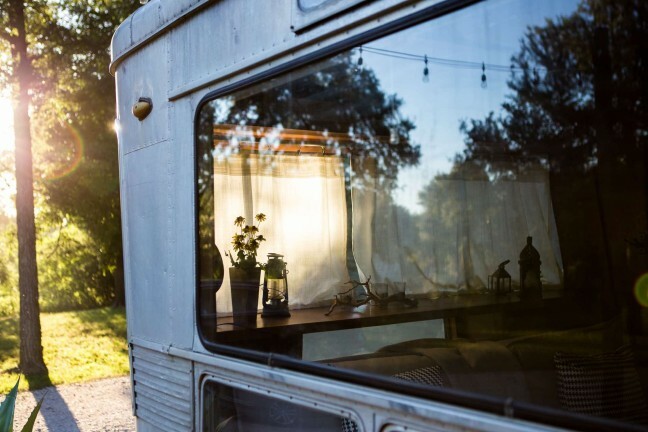 It’s got a sturdy wooden multi-angle swing arm, a metal lamp shade and base, and a braided nylon cable, all resulting in a lamp that will last you for years to come, even if you’re prone to knocking it over. 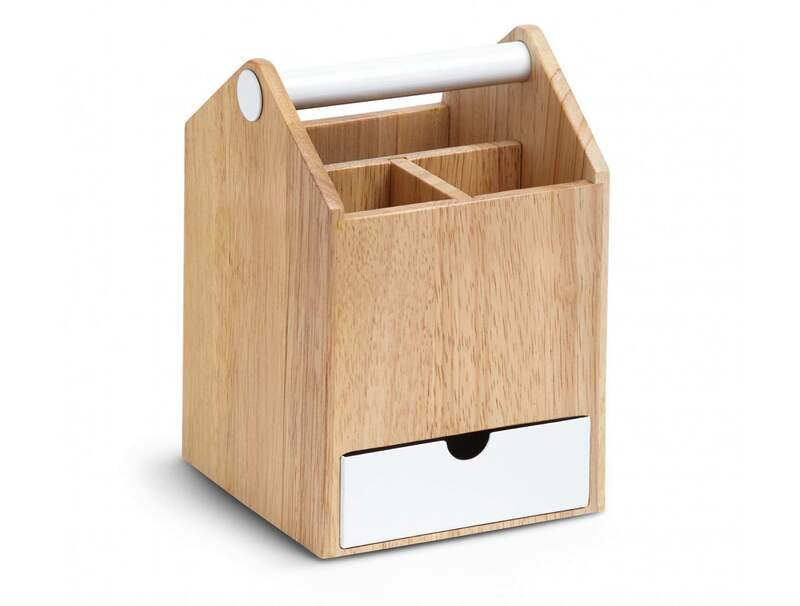 Umbra’s Toto tall storage caddy is a nice-looking alternative to boring desk organizers. This elegant stand is designed to hold + showcase your premium headphones, and it doubles as a wall-powered charging station. 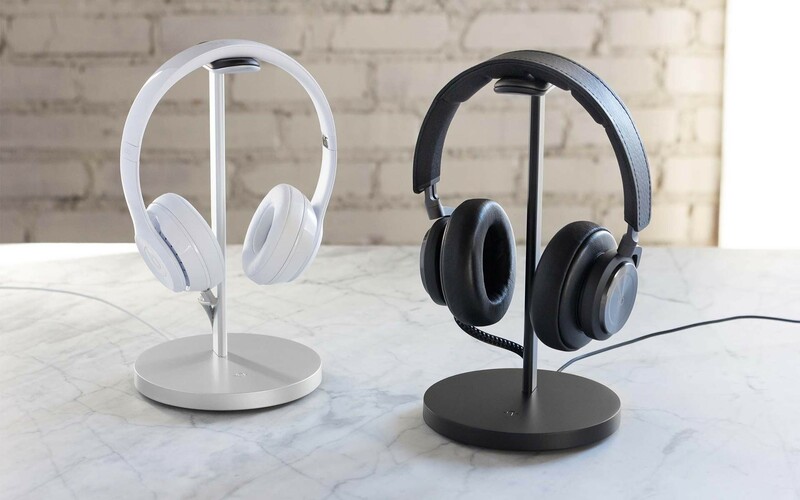 Made from aluminum with a soft contoured leather pad atop its support saddle, the Fermata has a built-in USB charging cable with a reversible micro-USB connector so you can keep wireless headphones charged at all times, and when you’re not using the connector, it tucks away out of sight into the back of the stand’s post. You can see a few more photos of what that looks like here. 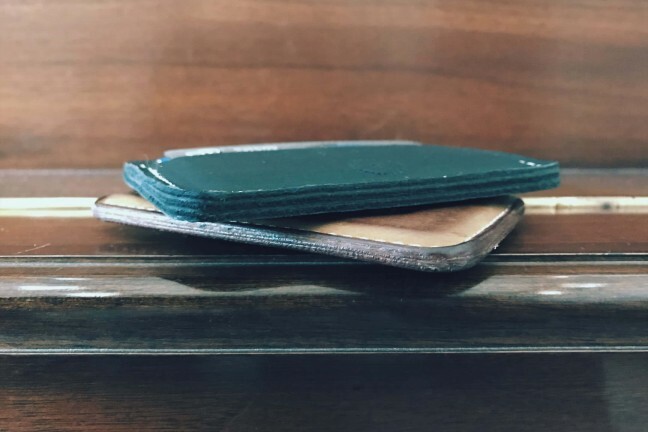 Mike Dudek is arguably best known for his stationery blog, The Clicky Post, but also produces some really great pen holders in a number of styles over at Dudek Modern Goods. 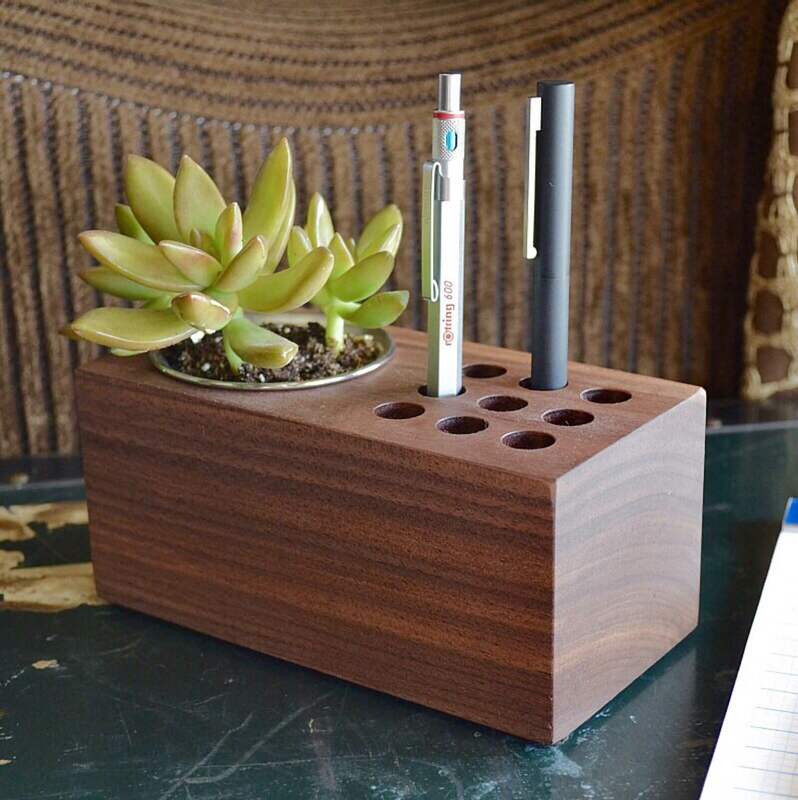 Like many of his other products, The Planter is made from solid walnut wood and livens up any desk nicely. Similar items in his store are The Sprout (same concept, but with 3 pen holes instead of 9) and The Greenery (plant holder alone).